Automotive paint protection, sometimes referred to as paint sealant, is most times an optional extra when purchasing a new vehicle. It will most likely be sold to you as a way to protect your car against scratches and chips and chances are that you might have shrugged it off as a non-necessity. Automotive paint protection is what is says and the aim is to keep your car looking new with no evidence of the protection. Paint protection is one those things that pays off in the long run. You get to drive your car and enjoy your purchase while paint protection does its thing. Your cars paint remains pristine and should you decide to sell it, you don’t have to lower pricing because of damage. Paint protection is applied as a film and is transparent. Its purpose is to preserve the quality of your vehicles paint and preventing damage that occurs while enjoying your vehicle. 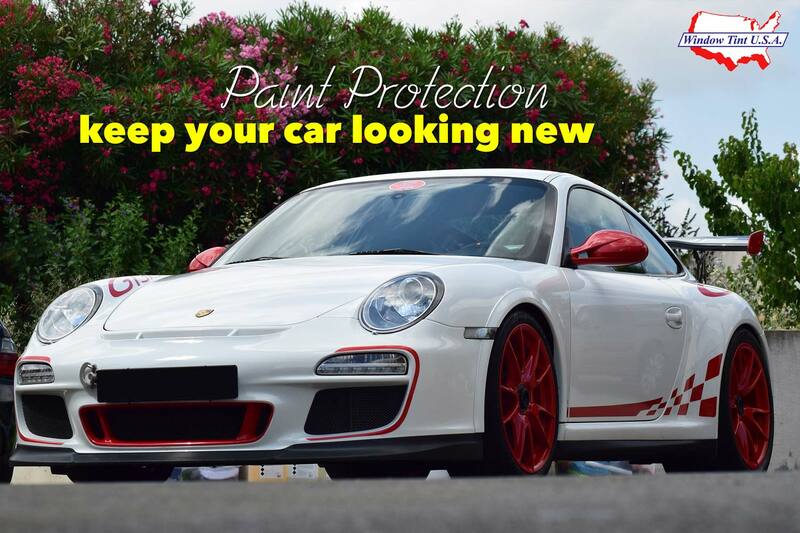 Paint protection acts as a defense you’re your vehicle against chips and scratches caused by loose stones on the road, swirl marks when washing your vehicle, oxidation from UV exposure as well as stain and scratch resistance and environmental-cause damage. Not to mention that your car keeps its shine. Once damage has been caused, paint protection will not be able to fix this and that would require paint repairs. Paint protection film is high-impact resistant so any rocks and road debris will not cause damage. The film is made from thermoplastic urethane and therefore is resistant to corrosion and acidic stains such as bird droppings, bug splatter and acid rain. Protection from UV rays means that your paint will not fade from constant sun exposure. The top layer of the film, assuming you are interested in a quality film, is made up of elastomeric polymers. These polymers will assume their natural shape when any damage is inflicted to the body of your vehicle such as light scratches. The film absorbs the impact and returns to its state prior to the occurrence. When done professionally, specially designed vinyl/film application is used to perfectly measure and draw out the area that is to be covered. The vehicles body is prepped to remove any silicone residue or other particles that might cause bumps once the film is applied. A solution is sprayed onto the area where the film will be placed and then secured into a permanent position. Air bubbles are removed and heat is applied in order to set the film. Without this heating, the film will naturally return to its original shape which would result in lifting and peeling. After application, paint protection is invisible and will not affect the clarity nor the depth of your vehicles original paint. Paint protection is the most comprehensive method in keeping your car looking good as new. It will prevent the stresses associated with trying to keep your car in perfect condition and will give you the freedom to use your car as intended without damaging its beauty. This is an investment we fully back, keeping your car looking as beautiful as the day you bought it without breaking the bank. You will be able to sell your vehicle with the confidence of knowing its full value and that it was well-looked after. When you want to rev up your car’s cool factor, leave it to us! We use only the best 3M automotive window tinting films.